This guide is for the Xbox 360 version. For the mobile version, see Saints Row (Mobile). This is the first game in the Saints Row series. 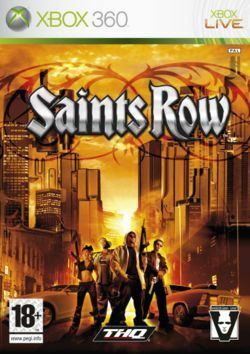 For other games in the series see the Saints Row category. Saints Row takes place in the fictional American city of Stilwater. The game starts with you almost being caught in the crossfire between two gangs. You're saved however, by Julius, the leader of a diverse gang called the 3rd Street Saints, one of the biggest gangs in Stilwater. Julius invites you to join their gang, and from there it's all about earning "respect" by performing a variety of criminal activities. This page was last edited on 5 February 2018, at 16:16. This page has been accessed 41,295 times.